It is very pleasing to announce that Euro Music Academy and Osaka International Music Competition are in cooperation. 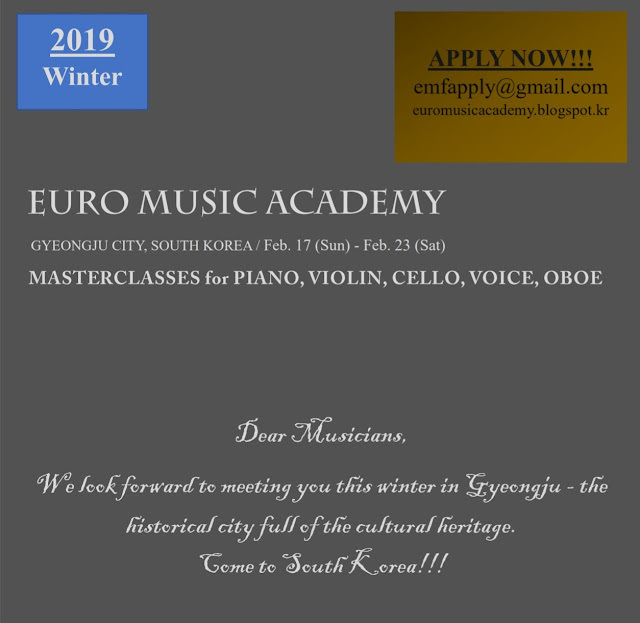 The participants who will take part in the 2019 Winter Euro Music Academy are eligible to grab a chance to compete in the 20th Osaka International Music Competition. What a great challenge! Participating in the masterclasses taught by great masters and Having a chance to advance to the round of an international competition.